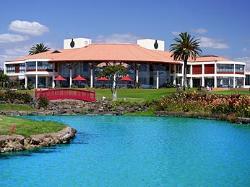 Heritage Hotels New Zealand offer superior, suite-style accommodation in New Zealand's finest locations. sea on the end of Princes Wharf. White restaurant and the Bellini Bar. suite and a spa treatment centre. 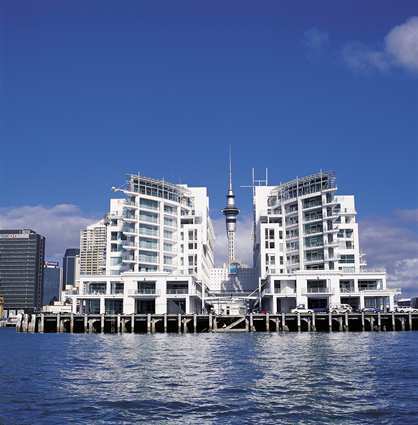 The Hyatt Regency Hotel Auckland offers fabulous views of the harbour and the entire city of Auckland. Comfortable, contemporary decor in all rooms and suites. Heated indoor pool, excellent fitness facilities, and first class spa treatment centre. 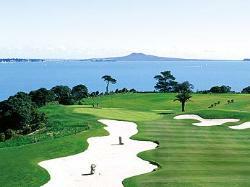 The Hyatt Regency is within easy reach of Auckland's finest attractions. Formosa Hotel & Golf Resort is a truly spectacular place to stay. 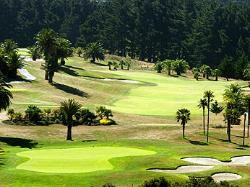 Formosa is listed in "The Finest Golf Clubs of the World" and was the venue for the 1998 New Zealand open. From its cliff top and coastal fairways, the course has panoramic views of Waiheke Island, Rangitoto and the distant Coromandel peninsula. The hotel offers 50 well-appointed luxury villas with adjoining doors for 'family living'. All Villas have panoramic views across the Golf course and Hauraki Gulf they all offer King-Size Beds and double bathrooms. Sports Stadium, with access to a range of facilities such as a squash court, 2 indoor tennis courts, heated indoor swimming pool and a gym. 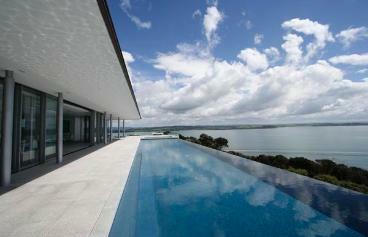 Luxury Accommodation in the spectacular Bay of Islands, Northland, New Zealand. This multi-award winning retreat is set within a 75 acre estate with spectacular views of the Bay of Islands. Designed and furnished in contemporary style, the gardens and lodgings blend into the beautiful natural landscape. Eagles Nest is within easy walking distance of the historic town of Russell, the birth place of New Zealand. The Estate offers a variety of accommodation options for the most discerning of travellers. A wonderful retreat in one of New Zealand's most breathtaking settings.